Collect marketing data with custom account registration fields. Add custom text or a custom checkbox, radio button, dropdown menu etc. to your Magento signup form. Gather marketing insights (e.g., how customers plan to use your product). 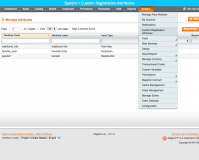 Provide a highly personalized registration experience in Magento. Approve new users before they can log in to their accounts. Effective customer experience personalization can only take place when it is based on relevant and trustworthy customer information. The extension provides a great opportunity to get this data directly from customers and leverage it for tailored product offerings and personalized deals for each new customer. High-quality leads are the top goals for the majority of retailers, as they have the most potential to contribute to sales. Using the extension, Magento admins are able to check customers’ information upon its submission and verify new users, which gives them the freedom to assess customers prior to their joining to the user base and so ensure only prospective buyers get on the list. Add custom fields to customer registration page. Choose from these input types: text field, date, yes/no, multiple select, checkbox, dropdown, radio button. Add custom text without adding any fields to signup page. Change custom field description per Store View. Make your custom registration fields required or not. Add Please Select value to dropdown to prompt users it’s a required field. Information from custom fields appears in the customer accounts. View and edit the data customers entered into your custom form fields. 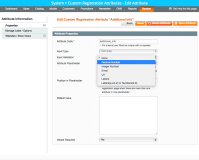 Use custom fields when creating a customer's account via admin panel. Choose which Store Views custom signup fields should appear in. Assign all newly-registered users to the Unverified customer group. Customers in that group won’t be able to log in until you manually transfers them to another group. It's highly recommended to use Admin Email Notifications extension when you have the above feature enabled. Please note that Custom Registration Form Fields is not compatible with Checkout Fields Manager extension for Magento, yet the latter contains most of the functionality of Custom Registration Fields. Magento Custom Field in Checkout extension – add new fields to registration and checkout form. Shows different fields and options to different customer groups or display extra fields on specific products only. 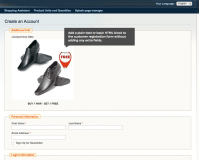 Magento One Step Checkout Suite – all-in one checkout solution. Add or remove checkout fields, remove unnecessary checkout steps. One Page checkout Magento extension – let customers complete the checkout on one page. 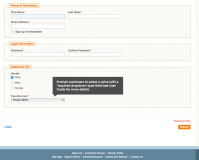 Configurable Magento Checkout module – remove unwanted checkout steps. + Compatible with Magento 1.9.1.0. + Allows for assigning all newly-registered customers to an "Unverified" customer group. Customers in that group will be unable to log into their accounts until Admin manually transfers them to another group. We use this extension to get specific information from clients during checkout depending on the products in their cart and it works perfectly. This is however not the best part. The support we have received from this developer has been fantastic! They are quick to respond and exceptional at resolving any issues , or answering any questions. We recommend them to anyone who is looking for functional extensions with exceptional support ! Perfect! The module works exactly as described. Adds very easily new fields with extreme flexibility. I have other modules AITOC and the company has always been very efficient, with a very good support. It is a very easy-to-use extension, and the more important thing is the fast and solution-oriented support from AITOC. This extension adds much needed basic functionality to Magento and works flawlessly. Would recommend to anyone. Thanks Aitoc.